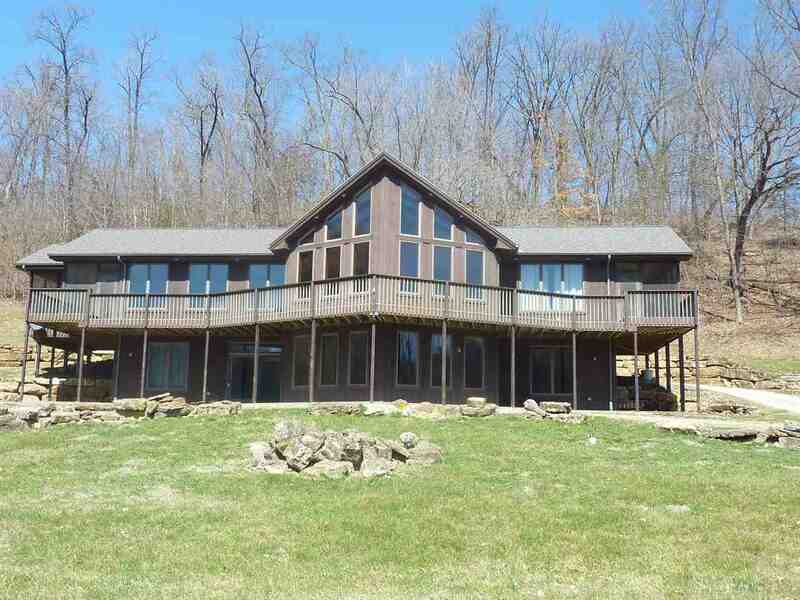 Live in style on this 21.43 acres wooded/pasture ponderosa. Includes year-round stream for the animals you love. Gorgeous 3 BR home 2.5 bath open-concept floor plan with huge wraparound decks and 3 fireplaces.Custom Hickory cabinets, hand-scraped wood and slate flooring, quartz counters. Screened porch off master and jetted tub, shower and walk-in closet. Lower level family room w/bar and fireplace +2 additional bedrooms and storage.Will provide Driveway Agreement for 3 properties located on same road.Shared well and Agreement with house that sits closest to the road. 3 parcels #058-00737-0020, #058-00714-0050, #058-00714-0040.